When a friend suggested going for hot chocolate on a rainy day, I knew I was in for a treat as she always knows some of the best places for hot drinks. 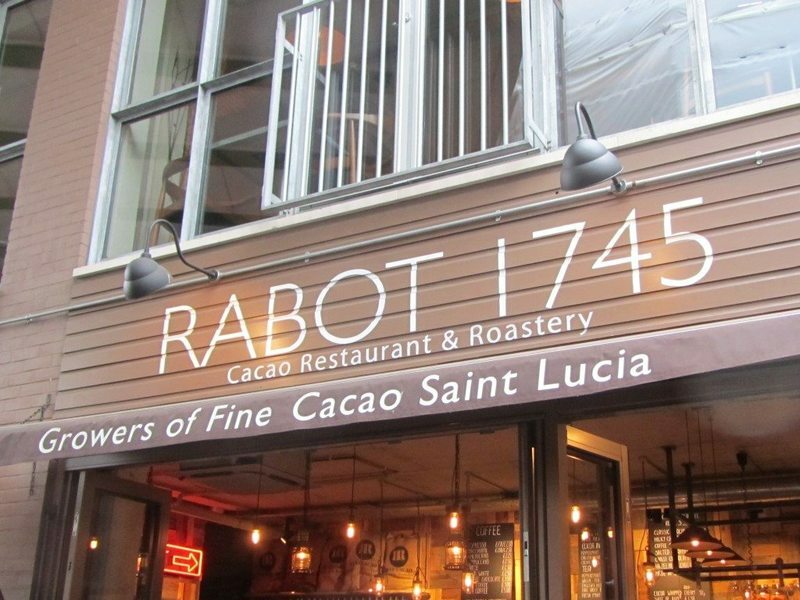 The story behind Rabot 1745 is that this cafe is from the people behind Hotel Chocolat. All of the cocoa beans are sourced from their plantation in St Lucia. 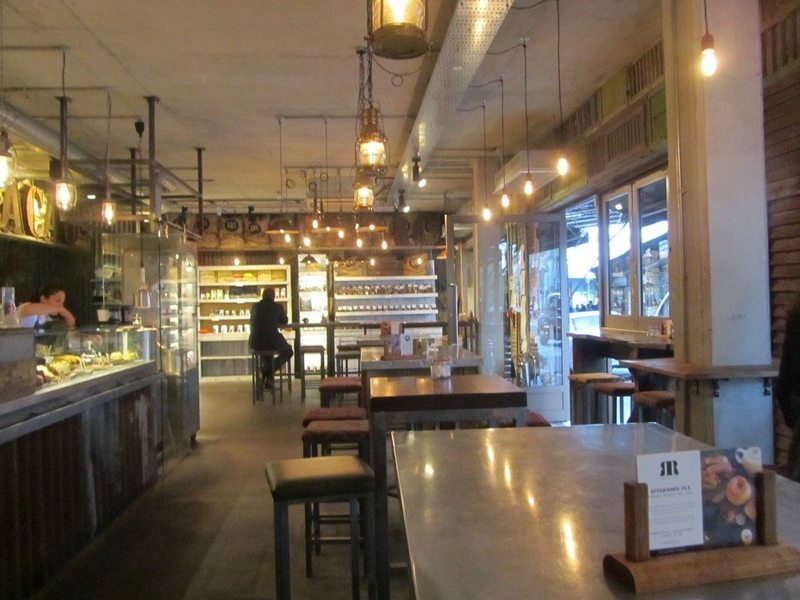 The cafe area is on the ground floor and the restaurant is on the upper level. 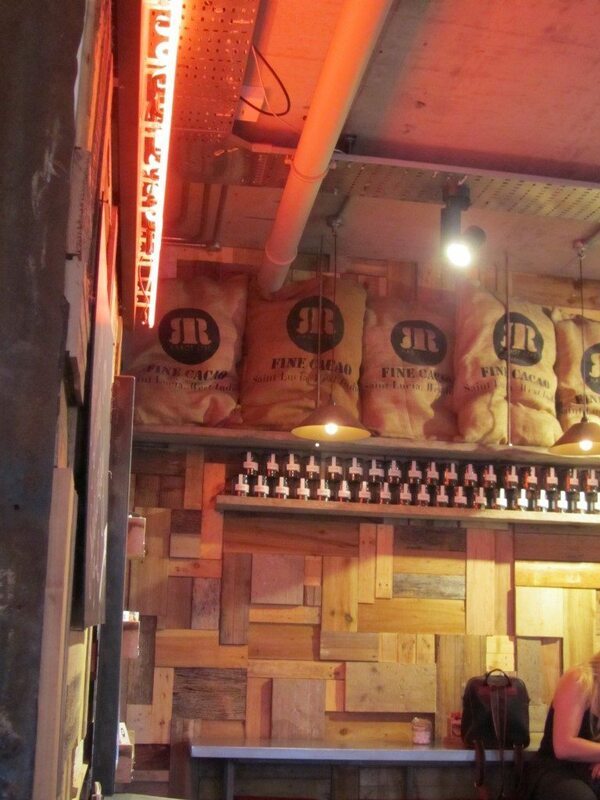 High stools, wooden decor, neon lights and cocoa bean displays make up the dimly lit yet atmospheric cafe. There is lively music playing in the background. So many different drinking chocolates to choose from including salted caramel, chilli, coffee, hazelnut, milky and dark. The coffee chocolate was my first choice but then the staff said that it was the normal chocolate with a shot of espresso. The wise decision was made to stay away from too much caffeine in the afternoon. Instead, the hazelnut hot chocolate was chosen. A smooth and rich drink with a lovely nutty flavour coming through. It was very drinkable and not at all too heavy or too sweet. 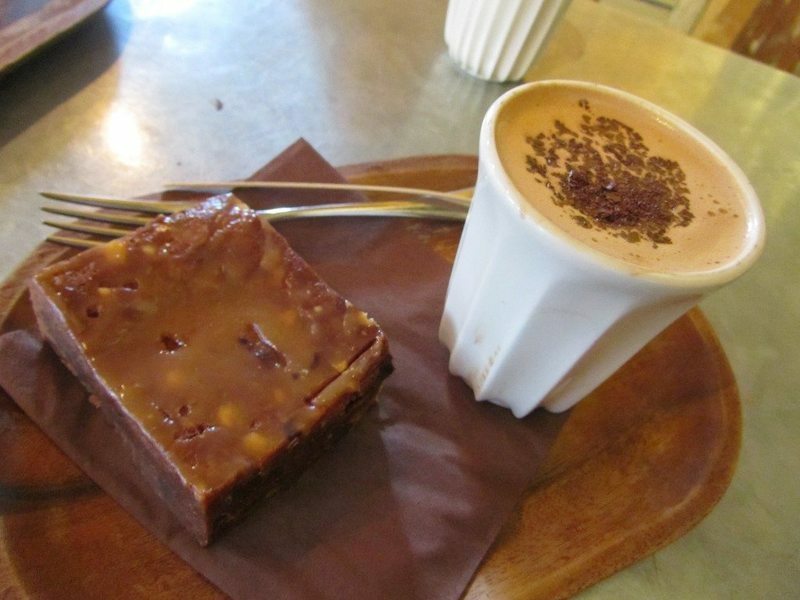 A big square of caramel brownie went well with the drinking chocolate. The gooey, dense brownie was topped with a sticky caramel sauce. The drinking chocolate was given in white cups and presented on wooden trays. The staff were friendly and gave good service. There are other cakes and delights on offer behind the glass counter. Big stirring vats of molten chocolate are also on display. 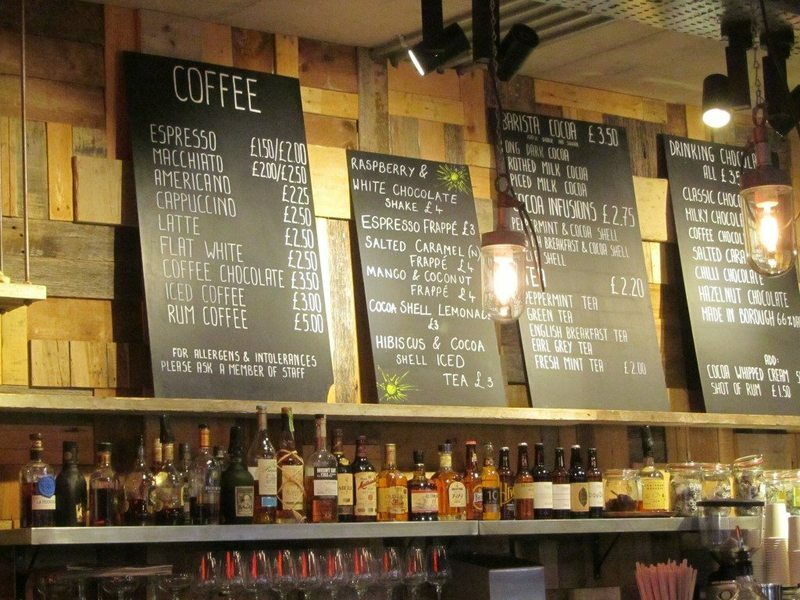 If you want a proper hot chocolate, then Rabot 1745 is the place to go! 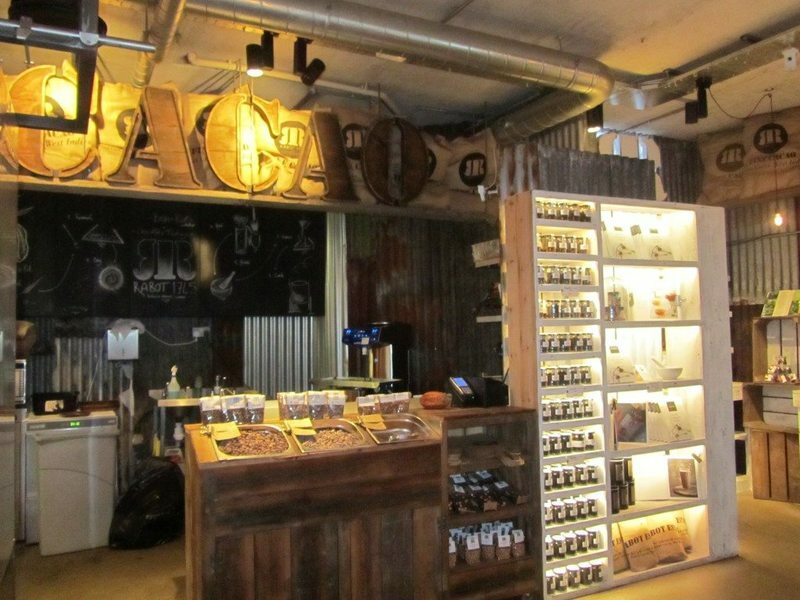 As to be expected, there is also a small shop area where you can buy various items and chocolate from the Hotel Chocolat range.